You desperately need regular breaks, but your older adult absolutely refuses an in-home caregiver. What can you do? Seniors often won’t admit they need help, even if they’re struggling with everyday tasks. In-home care can be a sensitive subject that leads to arguments or an immediate shutdown when you bring it up. Your older adult might see it as a waste of money, an insult to their abilities, or an invasion of privacy. 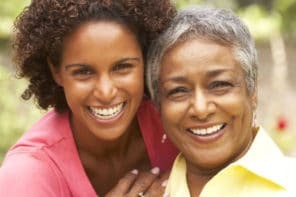 We found excellent advice from Family Caregiver Alliance with 8 ways to make the transition easier. They share helpful tips on how to overcome this challenge and make in-home care for seniors more acceptable – even if your older adult initially said no. Here, we highlight the key points from their article. Your older adult might need time to adjust to the idea of having someone in their house. To ease the transition, start off slowly. At first, have the aide only come a few hours each week and focus on less personal tasks. Then, add hours and additional tasks as your older adult becomes more comfortable with the idea and that person. Instead of shutting down objections right away, let your older adult express their feelings. They’re more likely to cooperate when they’ve been heard and know that their opinion matters. Understanding their concerns also helps you address those fears. Even better, involve them in the hiring process so they can help choose the person who will be caring for them. If you present the idea of in-home care as something that helps you rather than them, seniors might be more receptive. They’re less likely to feel that they’re losing independence or aren’t capable. 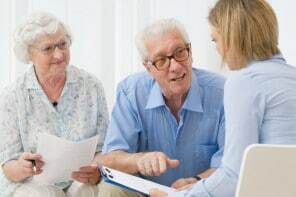 Many older adults respect authority figures like doctors and may be more willing to accept home care if they think the doctor has prescribed it. Tell them that’s what the doctor said, create a fake “prescription,” or ask the doctor’s office for an “official” note – whatever works best. Pretending that you need help with housekeeping and other chores is another way to ease an in-home caregiver into the house. That makes it more about your needs rather than theirs. If your older adult isn’t directly paying for in-home care, you could pretend that it’s free. That makes it more likely that they’ll be open to it since they’ll be taking advantage of a free service. Another approach is to introduce the in-home caregiver as a friend of yours who needs some company. That takes away the stigma of needing help and helps them trust the caregiver. It may be more acceptable to start using in-home care if your older adult thinks it’s only temporary. Once the in-home caregiver becomes a part of their routine and they adjust to the idea, it’ll be easier to continue using the services.